Looking to get more power out of your 2011-2014 5.0L V8 F-150 without spending a fortune? 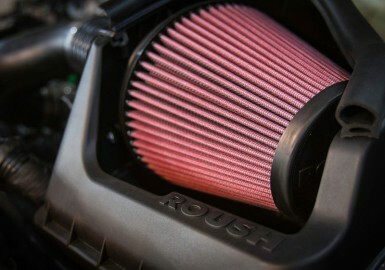 ROUSH Performance has just the solution! 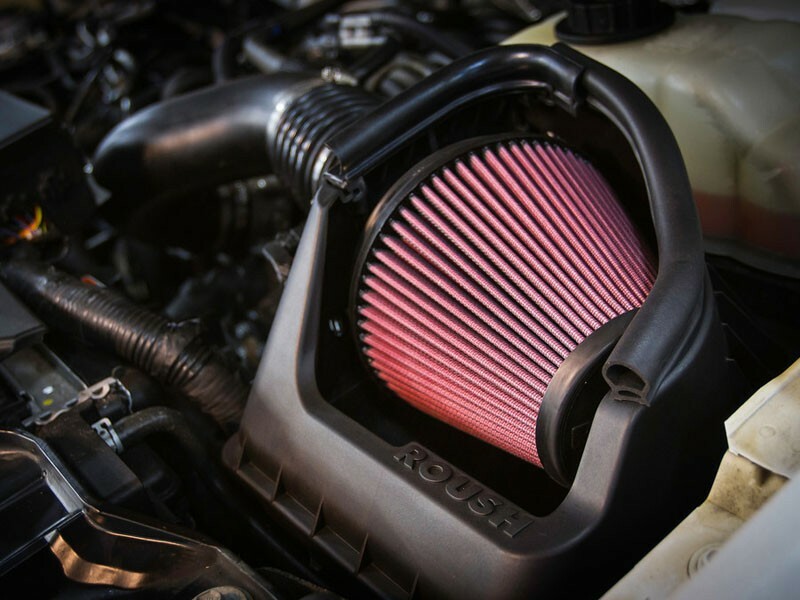 The factory 5.0L engine from Ford already provides exceptional performance, but adding the ROUSH Cold Air Intake will help unleash even more power out of the stock engine! Cold air induction is a much more efficient air intake method than the standard air filtering process that the stock engine utilizes. Air first comes into the newly supplied airbox, which keeps out hot air from the engine compartment. The result is that the air entering the filter is cooler, which leads to a more efficient combustion process for the engine. 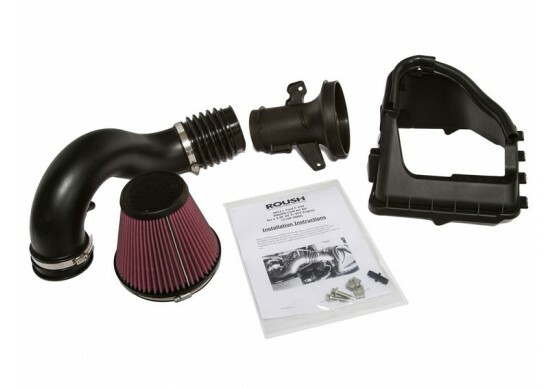 Due to the increase in air flow supplied by this kit, you will also experience better throttle response and overall engine performance (and even possibly increased gas mileage). The ROUSH Cold Air Intake Kit will also give your F-150 better appearance under the hood, and will let people know you only use the best products on your truck. 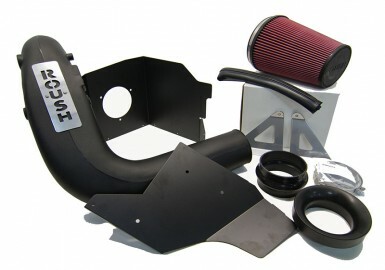 Best of all, this kit can be installed within an hour, making it one of the fastest and most economical performance upgrades for your vehicle! No calibration is required when installing this kit either, meaning you don’t need to worry about spending additional money to get down the road. 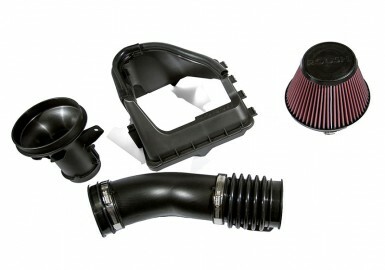 All parts in this cold air kit were designed using OEM CAD data, which provides superior fit & finish over most cold air intake kits found on the market. Included with this kit will be a new clean air tube, airbox, synthetic reusable/washable high-flow air filter (oiled), and all necessary hardware and instructions. This product is also backed by the ROUSH 90 Days Limited Parts Warranty.